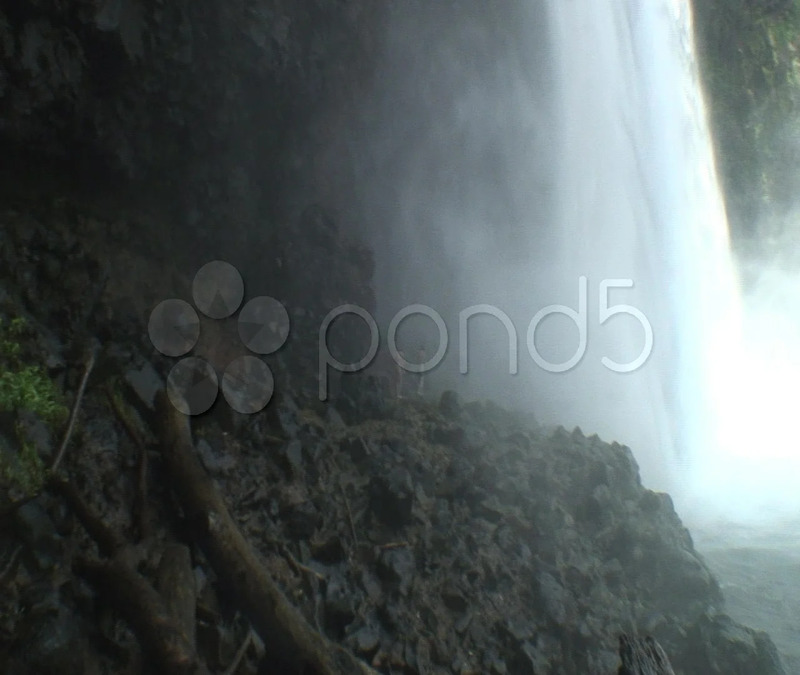 Description: Medium long shot of the top of a huge Hawaii waterfall flowing over. Some brush and plants in the foreground. Handheld with slight pan.